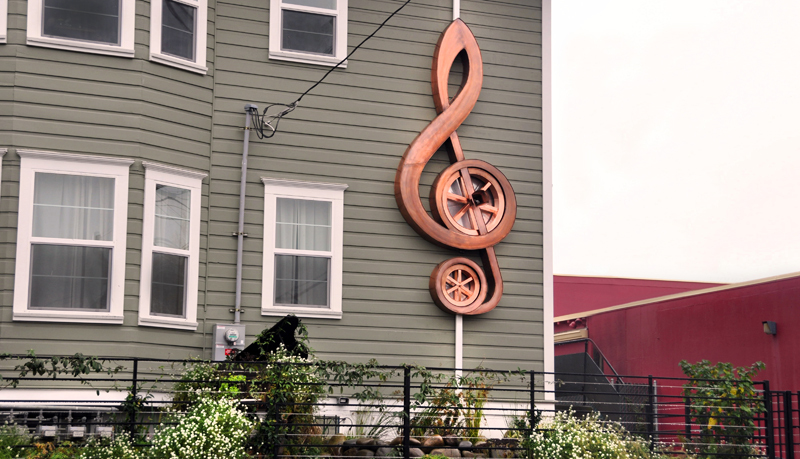 Treble-Clef Downspout by Art of Rain. 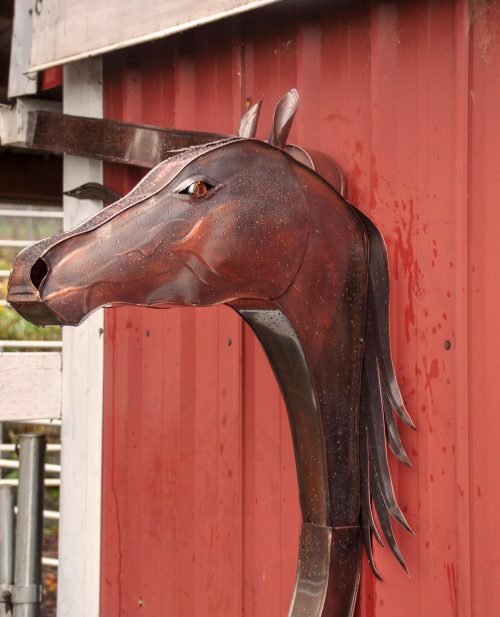 Handcrafted in WA, USA. 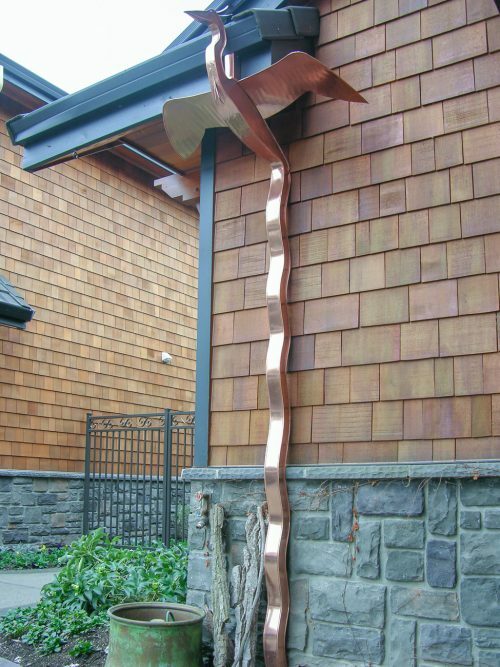 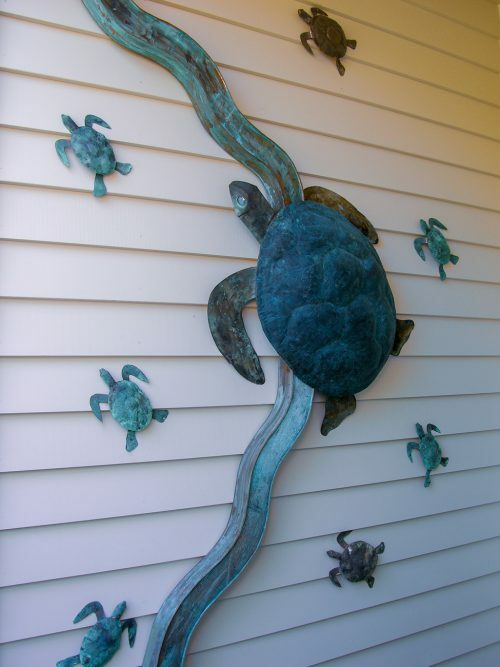 Worlds first copper musical downspout and water feature – Treble-Clef Downspout. When water is fed from the gutter, waterwheel axle powers a music box that plays Canon in D major. 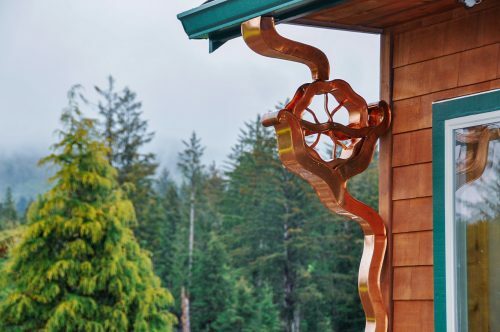 The Treble Clef is mechanically functional downspout when it rains and also works off a pump in dry season. 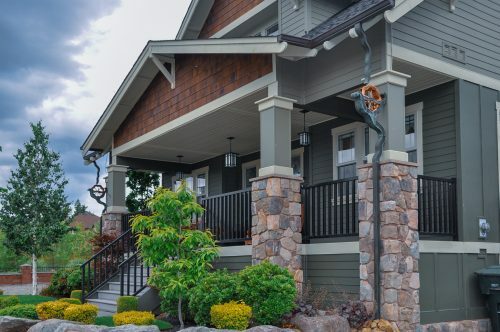 This makes a great alternative for your regular downspouts.